2019 Sho Dun Festival or we can say Shoton Festival, it falls on the 15th to 24th of the fifth month in Tibetan calendar. In 2019 solar calendar, it will celebrate on August 30th. 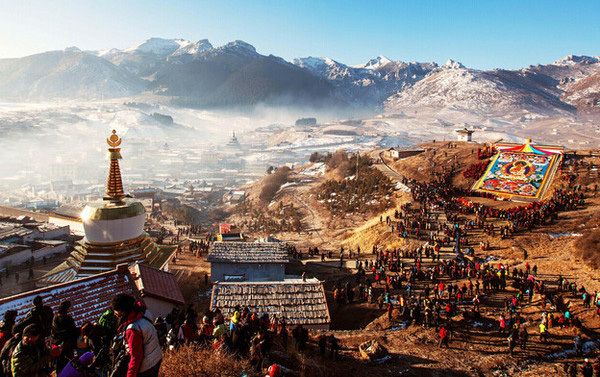 Sho Dun Festival is an important festival in Tibet. And during the festival, Tibetans will hold several activities such as drinking yoghurt, performing dancing and songs in Norbulingka park. Besides, they will also unveil the giant Buddha Thangka at Drepung Monastery and other activities. The festival will last a few days. So if travelers want to fell the typical festival atmosphere of Tibet, they would like to travel to Tibet during the Sho Du Festival. And, this article not only presented the best time to feel the Sho Dun Festival. But also offers the activities schedule. So that the travelers can directly go to the holding place.